If you have an RV or a boat, we can remodel the kitchen or bathroom space for you, and complete the installation in as little as a day, to reduce lengthy downtime. At Granite and Trend Transformations, we take pride in the beauty and durability of all of our home renovation and remodeling products, such as quartz, mosaic tiles, recycled glass, and granite surfaces. Our handcrafted surfaces are installed directly over your existing countertops, so they are 1/4 inch thick, making them lightweight for RVs, mobile homes and trailers, ideal for gas mileage. 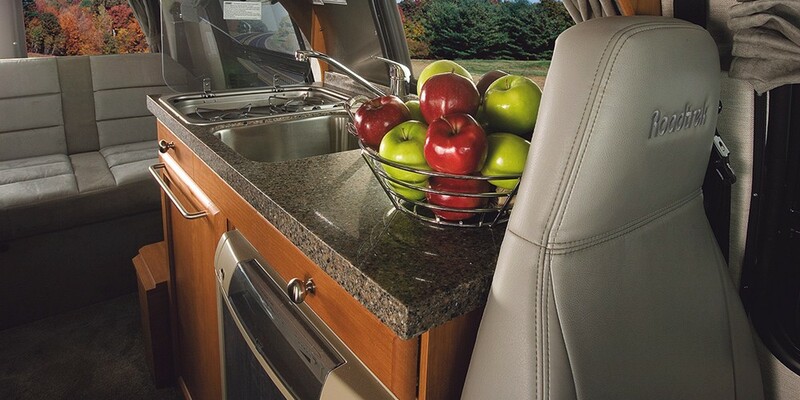 Need a new backsplash for your RV kitchen? We have you covered with an extensive selection of colors and styles to fit any design aesthetic. We can also reface your cabinets for significantly less than it would cost to replace them.